Made from 100% pure food grade materials! 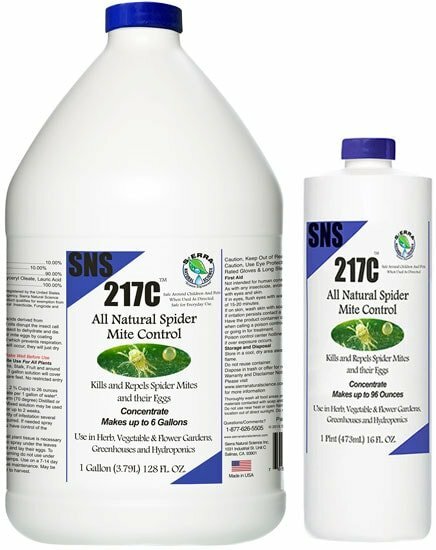 Sierra Natural Science SNS 217 All-Natural Spider Mite Spray works by providing a natural barrier which is harmless to the plant, but fatal to pest mites and their eggs. Safe to use on delicate new growth, clones, tomatoes, roses and many other plants… even trees! Do NOT apply to flowers as it may burn. 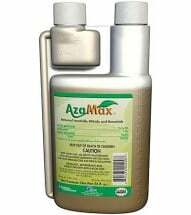 Available as a ready-to-use spray or money-saving concentrate. 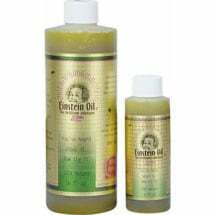 • Kills eggs as well as adults — STOPS the life-cycle! Available in a quart (32 oz) spray, pint (16 oz) concentrate and gallon (128 oz) concentrate. ASK ABOUT BULK SIZES! 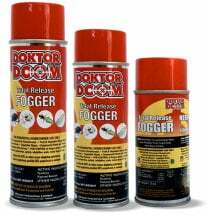 Apply directly onto pests and infected areas until thoroughly covered. 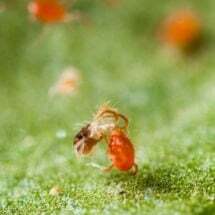 Spray as needed when pests are seen — most effective when applied at 7-14 day intervals. Spray to runoff. Though we don’t recommend spraying buds, we have had positive feedback.